How to keep my activity private? 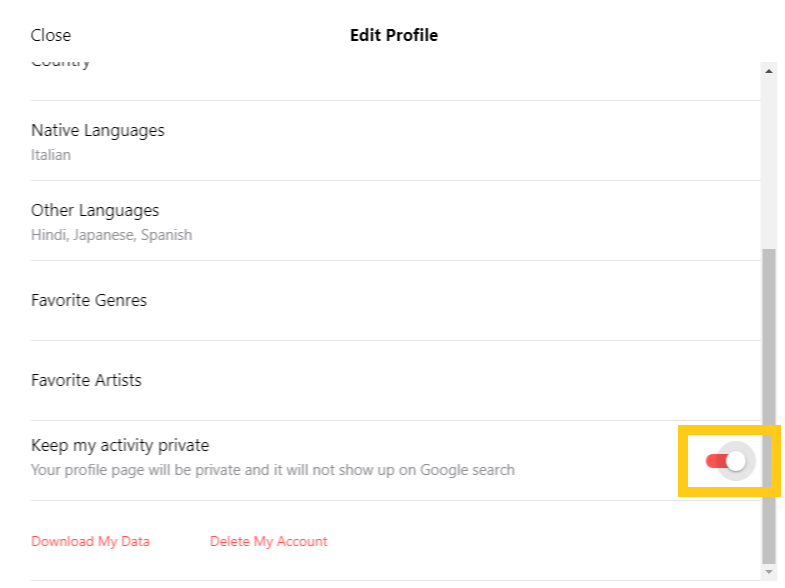 To edit your account privacy, you have to use the website version of Musixmatch. - Turn on "Keep my activity private"